This site is not affiliated with Nintendo. To find out all the latest on the Super Mario Bros games, please visit the official Nintendo site. Super Mario Brothers is one of the oldest and best-selling video games of all time. Developed by Nintendo in late 1985, the platform video game requires users to take the role of Mario as he attempts to navigate the world of Mushroom Kingdom. His goal is to rescue Princess Toadstool from the bad guy, Bowser, king of the Koopas. Mario's brother Luigi is the second player in the game and his goal is the same as Mario. 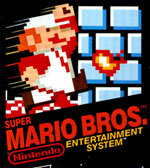 Super Mario Brothers was developed in Japan as a sequel to the earlier Mario Brothers game. Wikipedia sites the game as being the best-selling video game of all time until it lost the title to Nintendo's Wii Sports in 2009. To date it has sold over 40 million copies. The Super Mario Brothers game was the basis for Nintendo's later success. Versions of the game are available for every one of that company's various gaming portals. There are also numerous sequels and variations. The game is responsible for making the side-scrolling format popular. It's graphics seem clunky now but it retains a place in gaming's hall of fame. The title has regularly appeared in various "Top Games of All Time" lists. A movie of the same name starring Bob Hoskins was made in 1993 but it was a commercial failure. 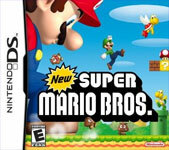 Nintendo has recently revamped its Super Mario Bros game, releasing the New editions for Wii, Gamecube and DS. This site has compiled all the latest Super Mario Brothers games, books, movies and other merchandise so you can easily find what you're looking for! Enjoy a fun flash online version of the old fashioned 1980s Super Mario Brothers Game! There are a number of sites that offer free flash games of Super Mario Brothers. Game FAQs - discuss games on message boards. The Nintendo Wii has revolutionized gaming forever! Pronounced "we", this game console makes innovative use of a remote controller that takes body movement into account. The blurb: As with every console, much of the buzz surrounds the specs. The Wii boasts 512 MB of internal flash memory, two USB 2.0 ports, and a slot for SD memory expansion. The system’s technological heart -- a processing chip developed with IBM and code-named "Broadway" and a graphics chipset from ATI code-named "Hollywood" -- deliver stunning performance. And instead of a tray, Wii uses a single, self-loading media bay that plays both 12-centimeter optical discs used for the new system, as well as Nintendo GameCube discs. 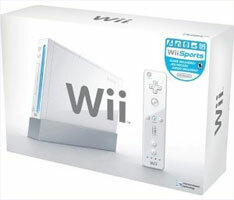 The Wii comes with Wii Sports included and there's also a Super Mario Brothers game made especially for the Wii console. The Blurb: The best-selling video game system in the world has a new cool new color scheme. Like a black T-shirt with a splash of color, the new Cobalt/Black version of the portable Nintendo DS grabs your attention. It looks good whether it’s toted in your school backpack, pulled from your purse or riding with you on a family trip. Cobalt/Black marks the seventh color in the Nintendo DS Lite palette. It joins Polar White, Coral Pink, Onyx, Crimson/Black and the limited-edition Gold and Metallic Rose. Now there’s a Nintendo DS color to complement any outfit. 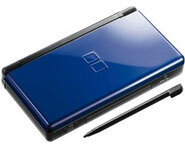 Nintendo DS Lite revolutionizes the way games are played with ultra-bright dual screens and touch-screen technology. Connect wirelessly to Nintendo Wi-Fi Connection and put your skills to the test against players across the room or across the world. With impressive 3D rendered graphics and ultra-bright screens, Nintendo DS Lite delivers cutting-edge portable games for fans of any genre. With the Nintendo DS Headset, you can talk and chat over Nintendo Wi-Fi Connection or voice command games.